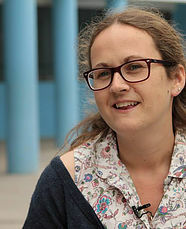 Originally from the UK, Liz has been the Director of SKIP since 2009. SKIP – Supporting Kids In Peru, is a non profit supporting children and their families living in poverty. Liz has a Bsc (Hons) in Psychology and a MSW (Masters in Social Work) and was a child protection social worker for 5 years before joining SKIP. Having lived and worked in the USA, Guatemala, The Dominican Republic and Hong Kong, Liz was already an avid traveler before arriving in Peru and now spends much of her time moving between countries promoting SKIP and networking with many international partner organisations. In February of 2014 Liz gave a TEDx Talk “Do Stuff you Love and Make a Difference” speaking about her own personal experiences and how they have shaped her career and passion for working in international development.